"Cloud Hosting" has been creating quite a buzz around these days. You might be hearing the phrase for the first time but the technology is not something new at this time of writing. In fact, you’re already part of the cloud hosting/computing users (without being noticed) as Google naturally is a big promoter of this idea. Google searches (as well as other Google operations) are operating under a massive computer infrastructure (cloud!) that people tap into from their local computers. Generally, a cloud-hosted website is opearting on multiple connected servers. Instead of limited to a single server like what we have in traditional hosting services (dedicated/shared hosting), the website now has the access to multiple servers. Virtually, the processing power is unlimited as you can always add a new server and scale up. Here’s a video released to help people fully understand what Cloud Computing is all about and I think it’s a good piece of learning material. Cloud hosting benefits the users from various angles. It’s scalability and cost efficient is the commonly known advantages. As the technology is highly scalable (load balancing, hardware upgrades, etc), website expansion can be done with minimum limitations. Think about the hassle of migrating your website from a shared server to a dedicated server; think about server crash when your website experienced a sudden surge – all these problem can be avoided easily by switching to cloud hosting. Cost is another huge plus if you need a lot of processing power. 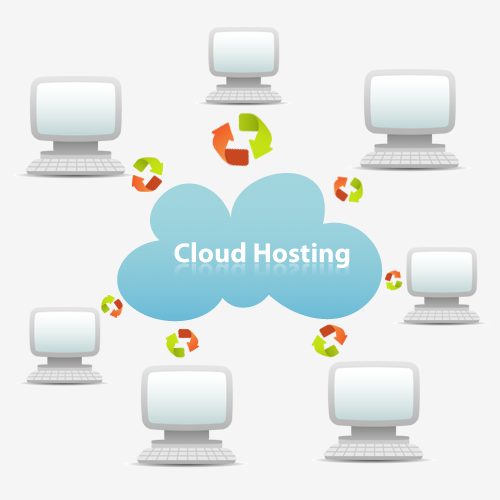 Cloud hosting companies charge their users based on the quantity of computing power consumed. It’s like your electricity and water supply bills – it’s pay-per-use thus gone are the days where you need to reserve massive server powers to avoid website crash from sudden traffic surge. I am sharing the same physical hardware with other users, is my data safe? The security issue is always one of the major questions and arguments raised when it comes to cloud hosting. This post has been published for some times and the topic (cloud computing and hosting) was widely covered in main stream media for the past one year. It’s no surprise to see that the industry is crowded with more competitors these days. Beside the common big names like RakeSpace, Amazon, and GoGrid, we are now seeing FlexiScale, GridLayer, Cloud.bg, and NetDepot… and so on. In fact cloud computing/hosting has grown from being a business concept to one of the fastest growing segments in the IT industry. From what I learned, many startup tech companies nowadays do not build their datacenters anymore, they simply go ‘cloud’. In case you are unsure about how cloud hosting users are charged, here’s a quick example. Listed table below is the pricing data of NetDepot (in three different packages). Register domain names with free Homepage, email and DNS. Cheap .co.uk, .com domains with instant registration. Reliable web Hosting,why pay more..! Big business organizations benefit equally from cloud web hosting. India a dedicated server gives you the privilege to install only the programs your company needs on the server.